Former Super Middleweight World Champ James DeGale meets British rival Chris Eubank in a grudge match Saturday from TheO2 in London and live on ITV Boxing in the U.K. and Showtime Boxing in the U.S. at 3:45 pm ET/12:45 pm PT. 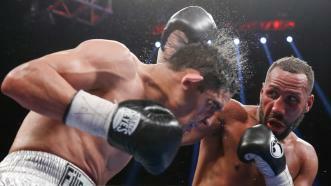 James DeGale defended his 168-pound title with a hard-fought victory over tough Mexican slugger Rogelio Medina. 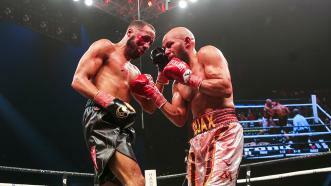 World champions Badou Jack and James DeGale retained their 168-pound titles in a thrilling, all-action draw. 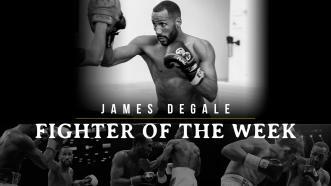 James DeGale had to go through a ton of adversity in order to reclaim his IBF super middleweight title from Caleb Truax. DeGale (24-2-1, 14 KOs) suffered a heinous cut near the right eye from a headbutt early in the fight and fought through it to win a unanimous decision over Truax (29-4-2, 18 KOs) by scores of 117-110 and 114-113 twice. On this episode of PBC Jabs we preview our April 7th world title doubleheader, former super middleweight champ James DeGale checks in, and in case you missed it, PBC is back in April. 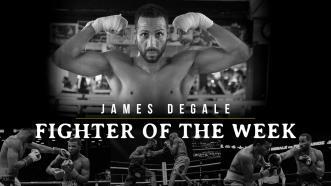 James DeGale (23-2-1, 14 KOs) was the first British boxer to win a Gold Medal in the Olympics (2008 Beijing Games) and a world championship as a professional. He returns to the ring to reclaim the IBF belt to the man that took it from him by a MD win. Caleb Truax and James DeGale battle in a 168-pound world title Rematch in the co-main event of the Showtime-televised card from the Hard Rock Hotel and Casino. 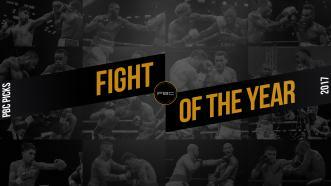 James DeGale and Badou Jack showed heart and grit in their 12 round super-middleweight PBC Fight of the Year which included 2 knockdowns and ended in a draw. 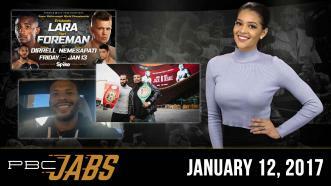 On this episode of PBC Jabs we preview our matchups scheduled for January 13th and 14th, plus WBC super middleweight champ Badou Jack checks in before his title unification fight.